For retailers, getting your products seen on the search engine results page (SERP) is quite difficult. Not only are you dealing with Google's constant changes, but there's also so much competition for the first page! 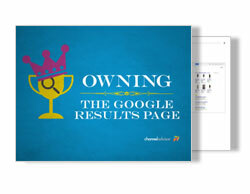 How well you control the SERP can be a defining factor in your business's success. Download the eBook to learn more.